Imagine your initials on your desk and your pencils and pens inside. 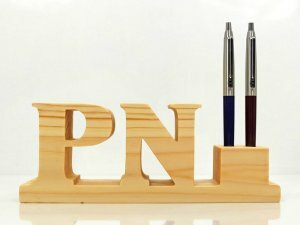 These are the unique pen holders. You can get organized with the pen and pencil holders. They are handmade from pine wood and by order. They are finished with olive oil which makes them perfect for every desk in your office or home.